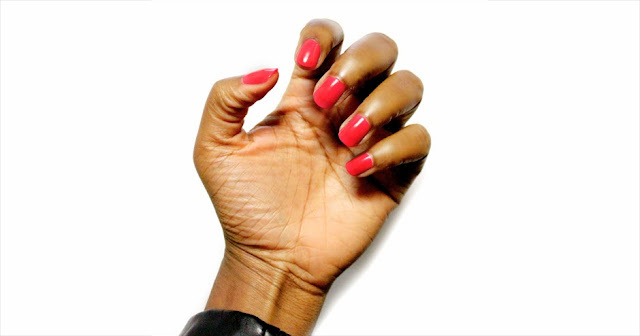 Step 1: Apply one to two coats of the base polish to your nails. Allow to fully dry before moving onto the next step. 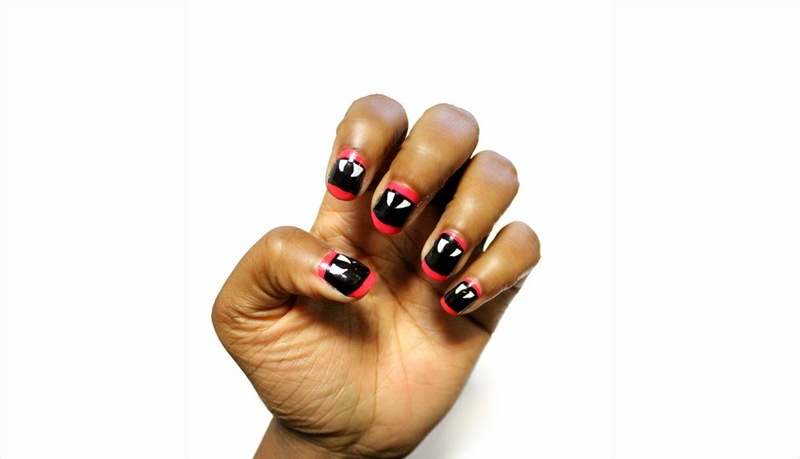 Step 2: Using the black nail art brush section off the mouth by drawing one line slightly below the base and one slightly above the tip os your nails. 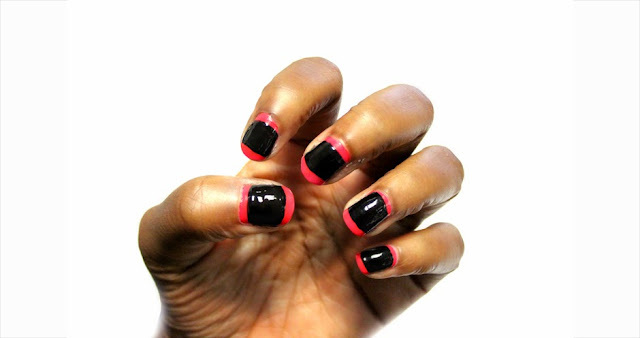 Step 3: Fill in the area between the outlines with your black nail polish and allow to fully dry. Step 4: Begin the teeth by drawing two fangs slightly apart from each other at the base of your nails. Step 5: Add short straighter teeth between the fangs. Step 6: Repeat steps 4 & 5 along the tip of your nails.